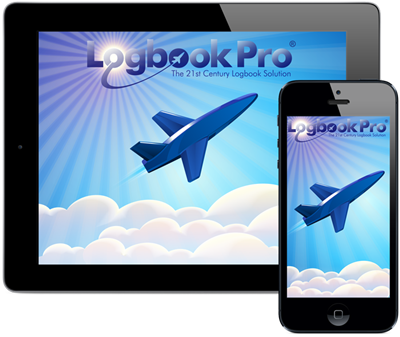 Logbook Pro for the iPhone, iPod touch, and iPad bring you the world leading pilot logbook software for Apple's iPhone, iPod touch, and iPad devices. Logbook Pro is the most reliable, trusted, and accurate electronic flight logbook software for pilots used in the aviation community for over 18 years. Logbook Pro enables you to log your Certificates, Ratings, Medicals, Flight Reviews, Historical data, and Flights (actual or sim) and view detailed and extensive reports. Import airline schedules and integrate your device's calendar for reminder notifications and scheduling deconfliction. Logbook Pro is a universal app that runs on all iOS devices. In addition the app is FREE on the Apple App Store allowing you to fully explore Logbook Pro both on the App side as well as the desktop side prior to any purchase. Cloud Sync is our advanced Internet synchronization system to send and receive information between our servers and participating products such as Logbook Pro Desktop and Logbook Pro for iPhone, iPod touch, and iPad. The "Cloud" is another term for the Internet. Using cloud synchronization we can sync to any hardware device whether it's a Windows PC, a Mac OS computer, or a device. All that is required is an Internet connection for sync, not required for general app use. There is no need for cables, Wi-Fi connections, etc. Connect to the Internet and you can synchronize your computers and devices through our secure network infrastructure. Synchronization to Logbook Pro Desktop is effortless and seamless and fully automated when enabled. Go to your personal secure “Cloud Sync” portal at https://nc-software.com/sync and preview your pending synchronizations and review prior to syncing them into Logbook Pro Desktop. No messing with home network Wi-Fi pairing or cables; it doesn’t get any easier than this. It is 100% reliable and you can even sync multiple times without the fear of duplicated information or lost information. Quick increment buttons to easily add/subtract values for fields such as landings, approaches, etc. Much much more...we're always improving the app, we love it too!